Torontron at Gamercamp.ca this weekend. It's been awhile since the last post. Sorry about that. We've been busy getting ready for production proper and putting together a grant proposal. 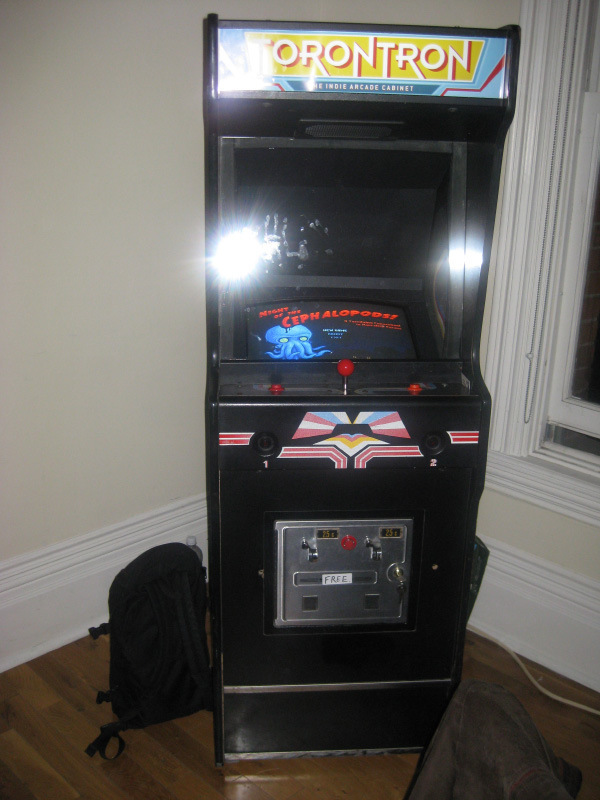 Night of the Cephalopods is now playable on the Torontron, an old retro videogame cabinet that was retrofitted by Jph Wacheski and some other folks in the Hand Eye Society to play a selection of Toronto indie games. It's currently looking for a semi-permanent home, till then it's making the rounds of various local indie media and game events. 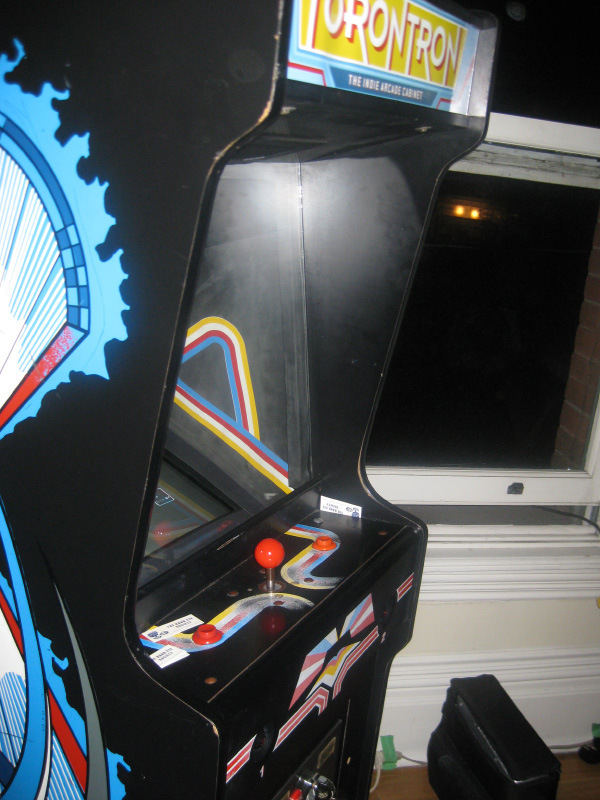 It already showed up at Canzine, and tomorrow (Sat Nov 20th) it will be part of the excellent looking Gamercamp event. Gamercamp is set to have lots of talks and demos about games by local independent developers, including Andrew and myself who'll be demoing some new Guerrilla Gardening stuff. 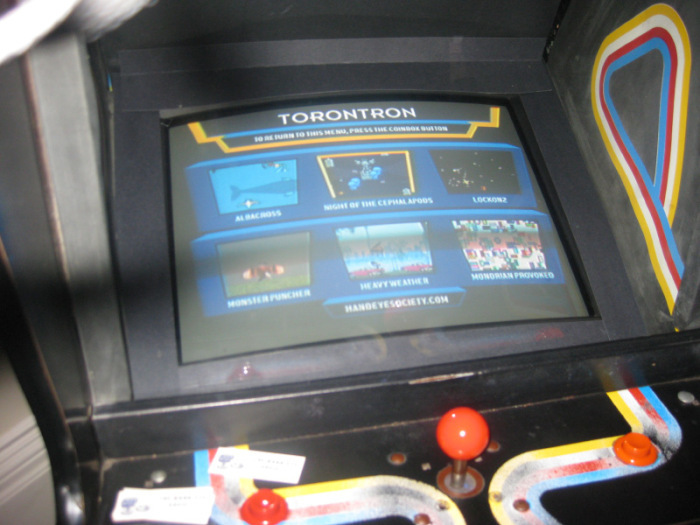 The day ends with a freeplay retro arcade so the Torontron won't be lonely. 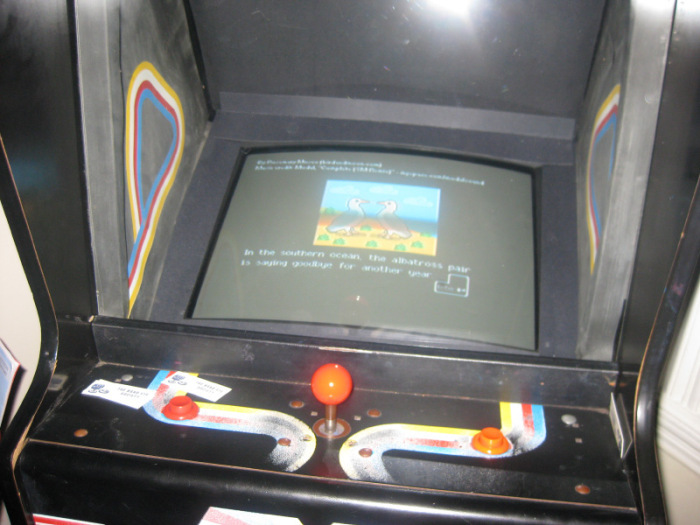 The game with the two birds is Albacross, by friend of Spooky Squid Games Rosemary Mosco. Since she wasn't available I ended up rigging it to work on the cabinet.